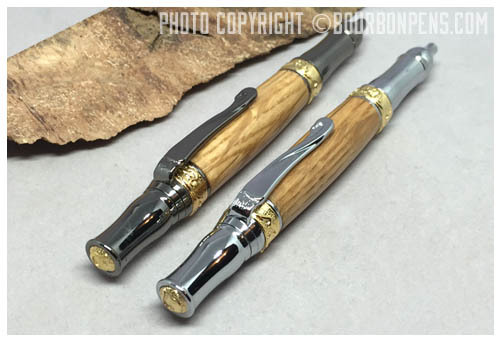 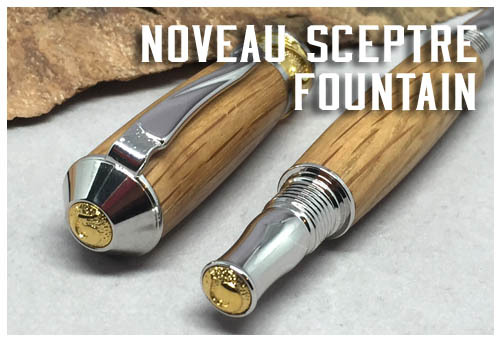 The Noveau Sceptre and Noveau Squire pens were designed to give you an Art Deco feel. 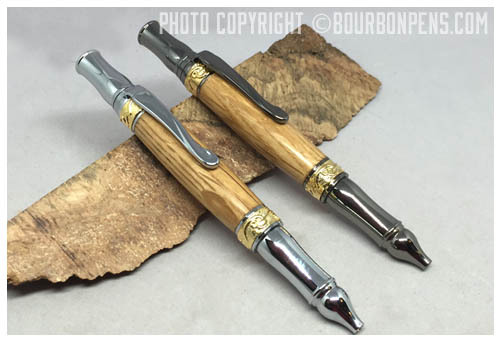 Art Deco was an opulent and lavish art form that spanned the 1920s and 1930s. 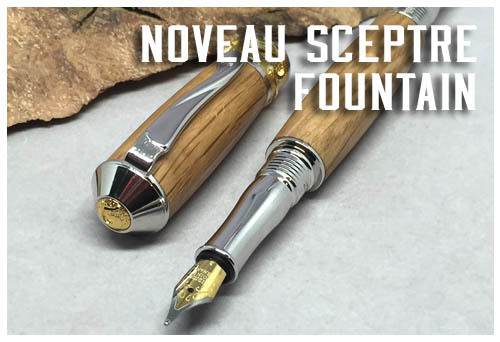 The art form influenced architecture, industrial design, fashion, and film of the period. 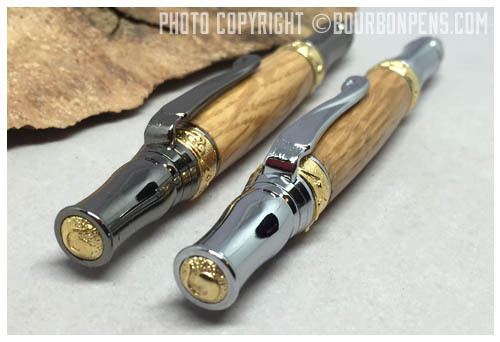 This pen is designed to simulate that era. 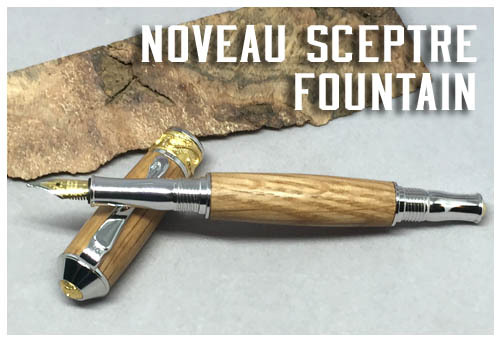 The Noveau Squire pen is a ballpoint and uses a Parker style refill. 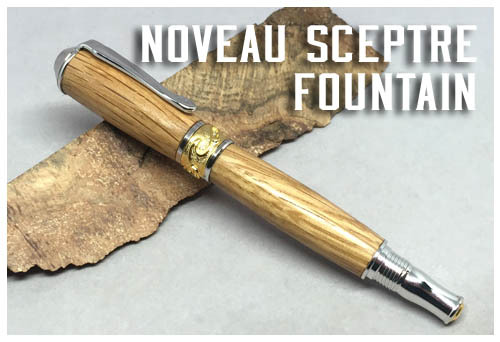 The Noveau Sceptre is available as a fountain pen or a rollerball pen.